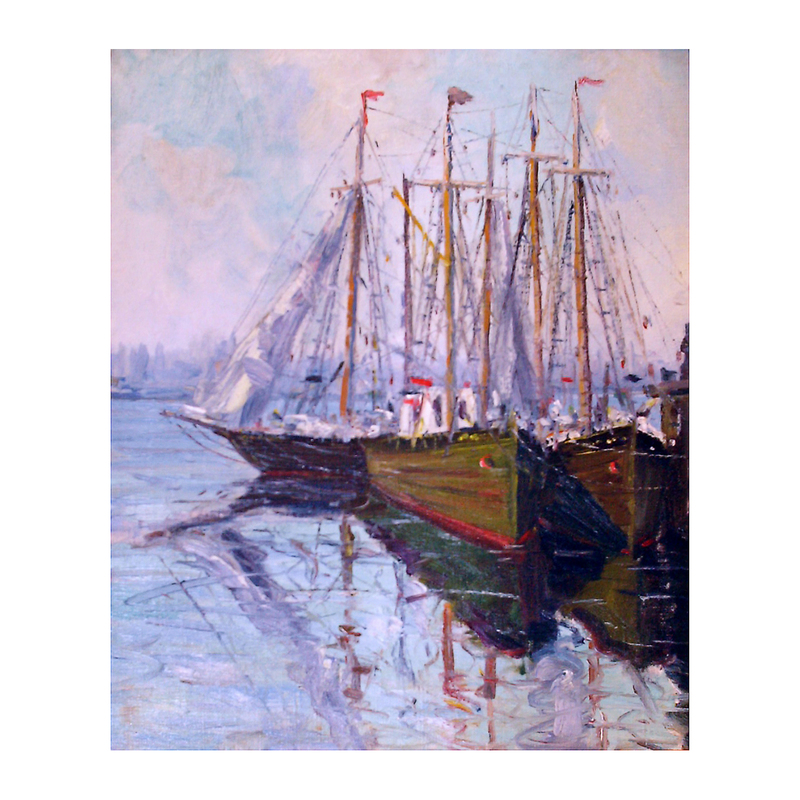 This painting of Gloucester Harbor by Maurice King Burns is unsigned but comes to us through the artists family in Old Greenwich, Connecticut. Little is known of Maurice King Burns except that he was born in the late nineteenth century in upper state New York. His father wanted him to go into his construction business but he left that business to pursue a career in painting. He appears to have travelled throughout New England painting both landscapes and seascapes. He died in a fire in New York City at a fairly young age and it is believed that most of his works were lost in that fire.